Academy Today On Deck for July! Western Media LLC Has You Covered! Included in the April issue of The O&P EDGE was the first edition of The Academy Today, which is the official voice and publication of the American Academy of Orthotists & Prosthetists. This new quarterly supplement is another free publication of Western Media that will share the latest news and clinical information from the Academy. 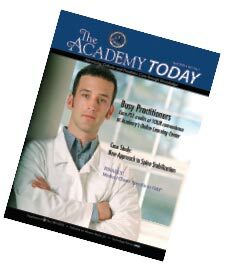 Look for the next issues of The Academy Today in the July, September, and October 2005 issues of The O&P EDGE! The Baby Bear Pavlik Harness, manufactured by Fillauer, is now available from PEL Supply, one of the nation's largest independent wholesale distributors of O&P products. The new Baby Bear offers a more cosmetically appealing appearance and easier adjustments to improve patient comfort. 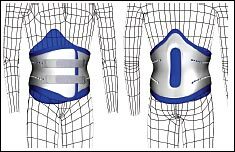 Indicated for congenital dislocated hip, the harness has quick-disconnect buckles for easy removal, and all buckles have soft underpadding. The enhanced booties allow faster application and more comfort for little feet. Available in two sizes. Ongoing Care Solutions offers a complete line of orthotics and now introduces a full line of Diabetic Footwear, including NATURAL STEP and PEDORS! All shoes include 3 pairs of inserts (SADMERC Approved). Visit www.ongoingcare.com to view our complete, exceptional product line. Realastic Prosthetics & Restoration (a division of Health Related Products Inc.) continues its low cost PVC products for the prosthetics market. Dewey Yeargin, president of Health Related Products, says, "As one of the pioneers in the PVC prosthetics industry, we take great pride in continuing these PVC products. When silicone is not an option, a product like our custom PVC hand with custom partial insert is the perfect solution." PVC gloves are available in 17 colors with great cosmetic and anatomical features such as freckles, age spots, tinted veins, palmar, hair and zippers. The R&D team at Ultraflex has developed a new hip orthosis for pediatric patients needing night bracing post-multilevel Botox for spastic cerebral palsy (quadriplegia, diplegia). 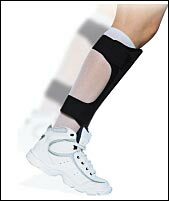 It has full "gutter" solid KO or KAFO sections to minimize point pressure and a simple two-strap patellar counter force strapping to keep knees in full extension (as cast). Quick release components gently abduct to stable full maximum abduction, and bar length adjusts to achieve maximum abduction. As if there aren't enough spinals out there, the Spinal Solutions think tank has once again proven that there is always room for one more. The Ortho-Wrap is a marvel of simplicity that provides superior support with greater patient compliance. The anterior overlap design eases donning and doffing. Removable liners (two included) are washable and provide a means for the patient to shower in the brace without worrying about liner mold or mildew. Full circumferential adjustment holes allow the practioner to reposition the straps, if necessary, and provide additional ventilation. 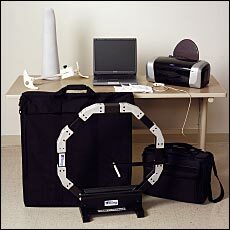 The Ortho-Wrap is available as a prefab or custom device. There has never been a better time to take advantage of SPS' premium quality modular components. SPS' new price structure provides you with COST SAVINGS between 20 50 percent over other component manufacturers and suppliers. Now you can maximize cost savings without compromising quality on your modular components. SPS' Blue-Line components are manufactured in the United States of the highest quality aerospace-grade components, at prices competitive with foreign or outsourced products. All components are manufactured to the tightest possible tolerances in aluminum, stainless steel, and lightweight titanium. 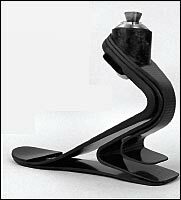 As the foundation of the prosthetic limb, these components are appropriate for prosthetic patients of all activity levels and weighing up to 300 lbs. Specific heavy-duty components are available for larger, more active adults with ratings up to 366 lbs. 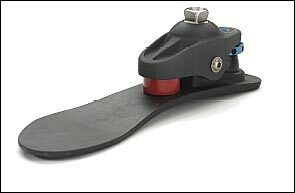 SPS is pleased to announce the HCPCS National Panel has issued a new L-Code (L-1932) for reimbursement of CAMP's ToeOFF® and YpsilonTMDynamic Response ankle foot orthoses. All SPS purchase orders for either a ToeOFF or Ypsilon dated now through May 31, 2005, will receive an ADDITIONAL 5 percent off the price of either AFO. OMEGATM Tracer 7.0 will take practitioners to tomorrow...with accuracy, quality, and improved business management. New tools include Alpha® DESIGN Liners, for creating custom transtibial liners, Ramus Containment Socket Tools, for AK sockets in the Ortiz approach, Relief Pads, and Symmetry Tools. T-Ring II captures shapes with four digital imagers and four projectors in less than a second. The AK Measuring Device ensures accurate measurement of AK limbs. Includes orthotic software for designing AFOs, spinals, and knee braces by numbers. Free onsite training and support provided. The new Pediatric Neoprene Knee Supports by RCAI are indicated for soft tissue injuries, strains, sprains, tendonitis, arthritis, and inflammation. 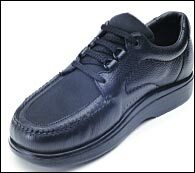 Made of a washable, 1/8" thick, latex-free neoprene with double-sided nylon laminate, the RCAI Pediatric Neoprene Supports are easy to don and doff. The product line consists of a standard knee sleeve with enclosed tubular donut, spiral knee support with medial/lateral stays and universal felt buttress, hinged knee brace with lightweight free ROM hinges and universal felt buttress, closed knee support for Osgood-Schlater lesions, and a wrist extension splint with removable palmar spoon. Infant to Extra Small sizes available.